The first day of fall in New York City was today and it was marked by quintessential autumnal weather. The sun was in the sky, accompanied by low humidity and a crisp breeze. 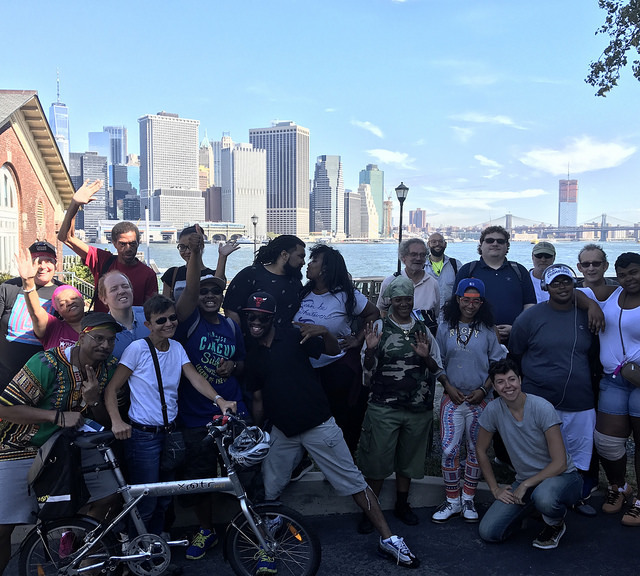 It was the perfect day for Community Access, a mental health and supportive housing nonprofit, to host a tenant bike ride on Governors Island. Whiting is one of the thousands of people Community Access has served in New York City. The nonprofit’s mission is to expand opportunities for people living with mental health concerns to recover from trauma and discrimination. Through the Housing as Healthcare model, health and wellness activities were integrated into Community Access tenants’ everyday lives. The bike rides began two years ago. 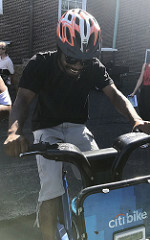 Community Access’ partnership with Citi Bike helped to make this bike-share event possible. Through the partnership, Community Access received 30 Citi Bike keys to use wherever bikes are available for staff members to lead group rides. While this was the first year of the partnership between Community Access and Citi Bike, today’s event was not the first tenant bike ride they’ve hosted on Governors Island. Davis’ excitement was palpable. He smiled, skipped and ran around with enthusiasm, and even tried some tricks on his Citi Bike. “This is special because there’s a whole lot of negative things going on right now and for us to come together as different people from Community Access, to come together and share this excellent experience is totally awesome,” said Davis. Eugene Smith, 61, of Morris Heights in the Bronx was happy to be out in the fresh air and having stability in his life. Tenants and employees worked like a family. They helped each other put on helmets, adjust bike seats, and even to balance on the bikes.